Archery is a sport for men and women ranging from children to adults. However, we can’t ignore the fact that using compound bows is dominated by most men, and most compound bows are designed for them. Women who love archery and bow hunting were forced to use compound bows for children or those ladies’ bows that aren’t as durable as men’s bows. Women as hunters are on the rise for the past years and using a weak bow in hunting won’t be as effective. Compound bows are the most powerful and the fastest bows perfect for ethical kills in the hunting grounds. Fortunately, big companies who manufacture premium compound bows have realized that women can’t match a man’s physique – which is the main factor in choosing a compound bow. What’s The Difference Between Compound Bows For Men And Women? As men are generally taller than women, the sizes of the bows are a little bigger too. To know more about the best compound bow for women, read along this article as we present the buying guidelines when you choose a compound bow apt to your preferences. Indeed, choosing a compound bow should be perfect to you because any mismatch could mean lesser shooting accuracy. The draw length of 13 to 31 inches is the proof that this compound bow is very versatile to different kind of audiences. 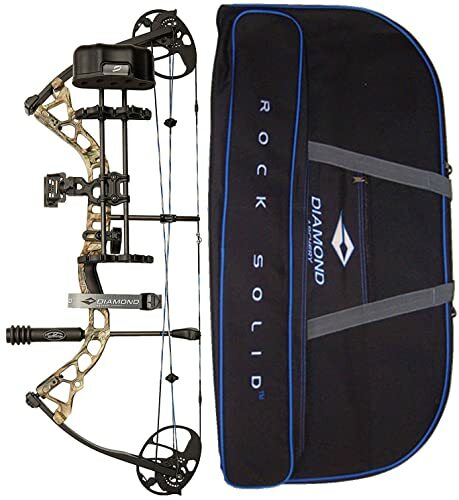 A woman owning this compound bow will not worry about the draw weight being heavy as it is easily adjustable from 5 to 70 pounds. The ergonomics for this compound bow is fairly excellent as the draw is very smooth and you can fire an arrow with a let off 75%. Though this compound bows are for beginners as the draw length and weight could easily be adjusted, don’t underestimate Diamond Infinite Edge as you can shot an arrow traveling at 310 feet per second. The weight of the compound bow is fairly light at 3.1 lbs., and a woman won’t tire out from carrying it everywhere. As you won’t feel fatigue, you also won’t feel or hear vibrations as the set comes with a bow stabilizer. Indeed, Bowtech had the women category in mind as they have a design that is pink blaze camo. This compound bow meets all shooting conditions and any archer’s age. That’s why it’s perfect for a woman as the bow grows with you and that would mean that it’s adjustable depending on your measurements and preferences. At 3 lbs, a woman or even someone younger can carry this around as it’s made of aluminum. And because aluminum is a sturdy metal, you can guarantee that it won’t damage easily and can withstand the pressure from overtime use. The draw length and draw weight is women-friendly at 12 to 30 inches and 5 to 70 lbs., respectively. At a let off effectivity of 70%, you can successfully hit your target as your arrow travels at 315 feet per second. You don’t need to worry about the hand torque happening as the grip of this compound bow is excellent. Also, you don’t need to worry about purchasing the bow sight, stabilizer, and release separately as they come in set with the bow itself. The bow may be very expensive, but as mentioned earlier, it’s complete with the necessary accessories that you won’t be needing to purchase unless they break first. Of course, it has the best standards and qualities a female archer can wish for. The forged 6061 aluminum riser makes it very light at 3.25 lbs. and the purple finish beckons women to have a try on it. It has an adjustable draw length of 17.5 to 30 inches and forgiving to a woman’s or a kid’s arms because the draw weight is also adjustable at 15-70 lbs. When you take an aim to the target and release the arrow, your arrow travels at 295 feet per second. A tad bit slower than other compound bows, though. Adjusting the dual cam system won’t be hard because there’s no need for bow pressing. Hunting with Quest Radical won’t be noisy because the set comes with a suppressor along with bow sight, bow release, and others. Among all the compound bow we’ve listed, this one is the most expensive priced at more than four hundred dollars. Of course, you buy it in a complete set that comes with arrows, stabilizer, release, sight, wrist sling, and the bow case. Not only that, the manufacturers used premium materials in constructing this compound bow. Quest Bliss has an aluminum frame that is 6061-T6 CNC machined, and the limbs are made of solid glass. It’s equipped with carbon cable guard with Teflon cable side, pivoting and locking limb pockets, metal injection molding broadhead shelf, pivoting and locking limb pockets. The draw length is adjustable at 23 to 27 inches and has a draw weight of 40 lbs. It can shoot fast too though slower than others we’ve listed at only 290 feet per second. Another compound bow for women by Bowtech makes it into our list. This compound bow is very light weighing only 3.2 lbs. and is made from forged carbon composite technology that makes it lightweight. The carbon also made the bow relatively durable, comfortable, and dependable too. Because of the material, gripping the bow after you wake up won’t be too cold for you as it doesn’t conduct cold temperatures. This compound bow is more specific on women than on children because the draw length is only at 22.5 to 27 inches. The draw weight isn’t adjustable and can be purchased from 40, 50, and 60 pounds. The success rate of hitting the target is excellent at 80% let off. There’s no fear of alerting the prey when you go hunting as Bowtech Carbon assures you a quiet shot every time because of the string suppressor preventing the vibration on the string. Women want the same high performance, power, and velocity as men want for their bows. However, men and women are not equal in the physical aspect. 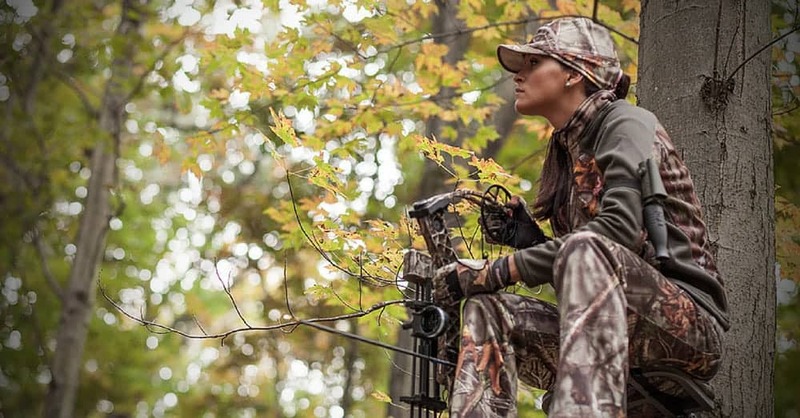 Aside from the bright colors and styles, what makes the compound bow for women different? As mentioned previously, women are generally shorter than their counterparts. Draw length is directly proportional to the arm span of a person. And it equates closely to the height of the archer. Draw length is vital to a compound bow because it decides on how powerful the shot will be and how fast it travels. Fast arrows hit their target with more accuracy than slower arrows. A mismatch between the draw length and the arm span of an archer could mean lower accuracy. Draw weight is the entirety mass that the bow can handle. In most cases, it’s more than 40 lbs.. Draw weight decides on how much power the arrow has when it flies and how far could it reach. Stronger arms can draw up more weight. And most men being physically stronger than women, the manufacturers based on this fact. But now, there are products with toned down draw weights to fit the range in which a woman normally draws. Though the compound bows of women and men differ in designs, draw length, and draw weight only, there are other factors to look out for when buying a compound bow. This section was discussed previously. One way of knowing your specific draw length is to measure your arms from one to another end with a measuring tape and get the measurement in inches. Divide your arm length by 2.5 and the draw length is the answer. If an archer has 60 inches arm span, her draw length is 24 inches. Twenty-four inches is the smallest normal draw length available in some compound bows. This section was discussed previously. Try compound bows that are on the lower side and if you can pull the string to its entirety, you can shift to higher draw weights. To effectively draw any weight, you might want to build muscles in your arm. It’s an important consideration in choosing compound bows. 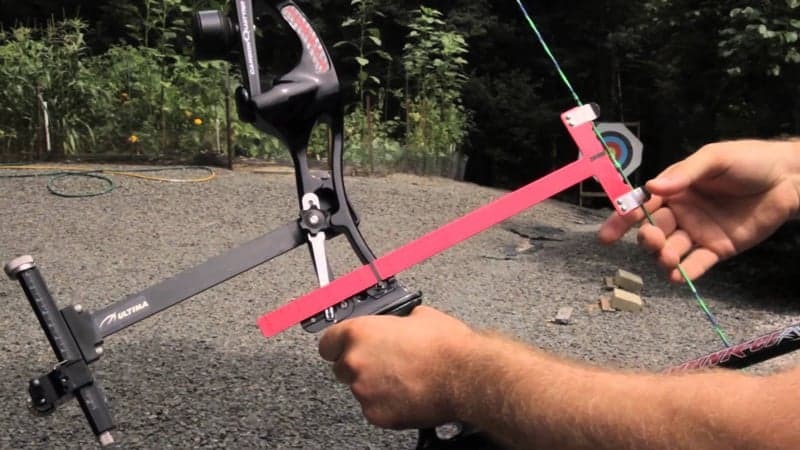 Brace height is about the distance between the grip for your hand the string of the bow. The shorter the distance means more energy and faster arrow velocity while the longer distance means slower arrow but more forgiving. Try different compound bows that make you feel great and comfortable. Let off is the percentage of the maximum draw weight in which you can fire the arrow effectively while retaining the accuracy. Most compound bows have 70 to 80 percent and you can hold the bow steadier for a long period while you take your aim. This isn’t included in the differences between men and women compound bows as the weight of a human varies from each other. If you’re on the lighter side, you could consider buying a compound bow that is relatively light so you won’t be easily fatigued from trekking for several hours. Though this may have to be purchased separately, you should consider adding a bow sight on to your compound bow. Compound bows are modern bows, and you don’t need much skill to use it. But you will need to aim your carefully, and the bow sight can help you in that aspect. Most bow sightshave pinpointed projectile position that allows you to fire arrows at a fixed distance with perfect accuracy. Bow sights also have features that allow you to hunt prey in the dark unlike not having it with you. Some compound bows have stabilizers though some don’t have one. Stabilizers are important for best compound bowbecause it steadies the balance for your bow so it won’t tip forward and eliminates the vibration when you pull the string. Noise reduction is especially important to hunters because a noisy bow could mean that the prey can hear it since they have acute sense of hearing. Bow stabilizersdampen your bow by absorbing the vibration. A bow releaseis typically purchased separately, and you should greatly consider buying one or two. A bow release aids you in better accuracy and smoother release as you won’t be directly touching the bowstring. Fingertips touching the screen can create string torque that might divert the arrow’s trajectory. There are limited compound bows for women and priced greatly. Though the price is greatly steep, you shouldn’t be disheartened and think that what you’re getting is what you paid for your archery and hunting endeavor. The article about the best compound bow for women ends here. Today, there’s a limit on the options available when it comes to women compound bows, but there are newer models to watch out for in the coming years. 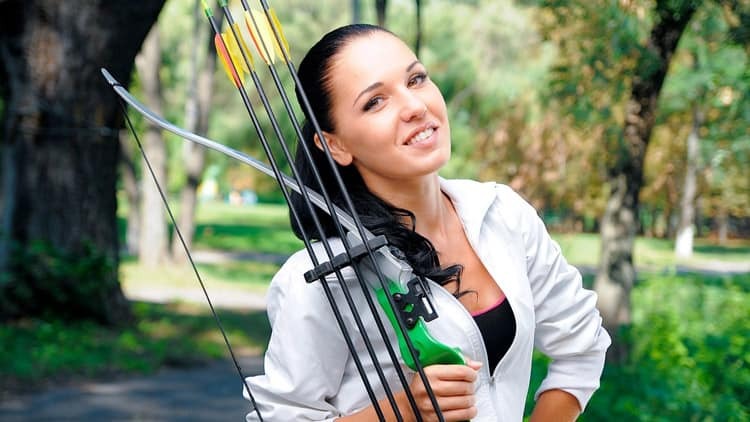 More and more women will take archery and bow hunting as sports and recreational activities, and manufacturers will take advantage of the rising customer category.